Working as a mentor and tutor with City Year is a great (and meaningful) way to spend your gap year between high school and college. Don’t forget to apply! Applications for this year’s program are due June 1. You can apply now at cityyear.org. This time of year, it seems like everyone wants to know what you are doing after graduation. It’s often an intimidating question—one that can leave you feeling like you need to have all the answers and your life plan figured out. Taking a gap year between high school and college is a great way to gain perspective and purpose through and enriching experience. City Year is more than just a gap year. 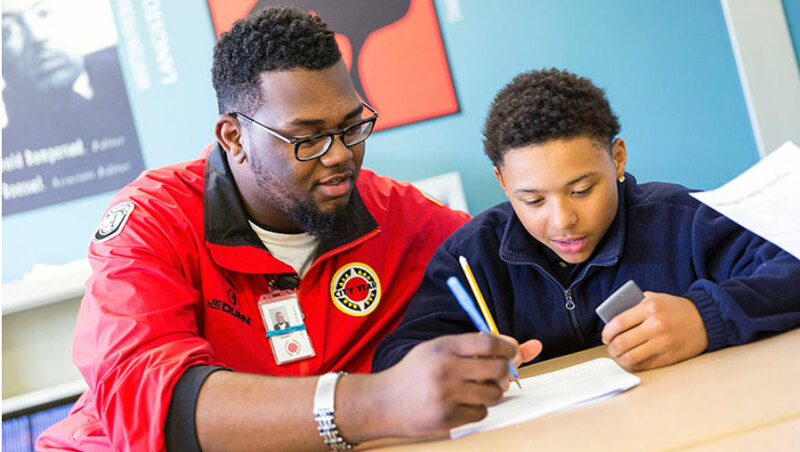 Working as a mentor and tutor with City Year is an opportunity to make a difference for students across the U.S. It’s also an opportunity to grow as a leader and gain experience that will strengthen your resume and help you succeed in college and in your career. No matter what career path you choose after City Year, your experience will help you prepare for it. You’ll gain valuable leadership and career skills that can help you advance and prosper in any field of study or career, from nonprofit, to law, to medicine to education. Build your leadership, communications, time-management skills and more. “City Year is the motivation and focus you need after high school to find out which field you’re passionate about, whether you want to study in college or you want to take an alternate path,” Claire Dempsey, a City Year New York alumna who spent her gap year with City Year, said. Upon completion of City Year, you’ll earn a Segal AmeriCorps Education Award, currently valued at $5,920 to help you further your own education. Additionally, City Year has partnerships with more than 100 leading university that offer alumni additional scholarship opportunities. Already accepted into college next year? You can still consider a gap year with City Year. Many programs will allow students to defer their enrollment for a year to participate in service programs. The deadline to apply to City Year is June 1. 4-19 HS Girls Tennis vs NN and HS Girls Softball at Hammond have been postponed due to the weather and field conditions.